Dr. Schlemann unabhängige Finanzberatung e.K. is providing independent financial advice to international clients & expats in: Deutsch (DE) – unabhängige Finanzberatung, English (EN UK/US) – independent financial advice, Français (FR) – conseil financier indépendant and Español (ES) – asesoría financiera independiente. 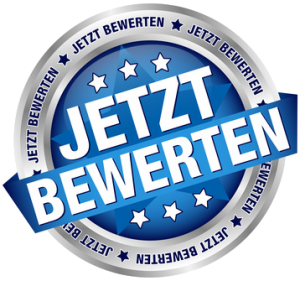 As a native Bavarian, I am happy to advise clients from Bavaria in their native language (BY), too ;-). Several more detailed links on this page are so far only available in German (DE-German, EN-English). Please give us a call (+49 221 688040) or contact us via email if you have a question or would like a meeting / webmeeting for individual advice. Here are directions how to easily reach our office. German newspapers like “Bild” (June 2018), “Handelsblatt” (December 2017) and “Die Welt” (June 2016) regularly rank us among Germany’s best financial advisors, continously being on position 1 and 2 in Cologne. The main reason for this success story are about 1.200 extremely positive evaluations from our clients, for which we are very grateful! 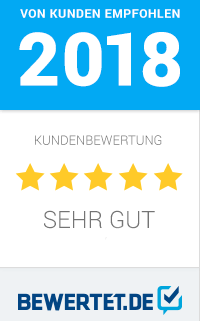 For details see Dr. Schlemann unabhängige Finanzberatung: Top 500 beste Finanzberater Deutschlands (DE). Dr. Schlemann supported me in the very difficult choice of health insurance. I have particulary appreciated his expertise on identifying the best proposal for me based on the requirements I gave him, and his clarity in explaining a system very much different from the one in my Country. He speaks fluent english and that facilitated a lot the consultancy. 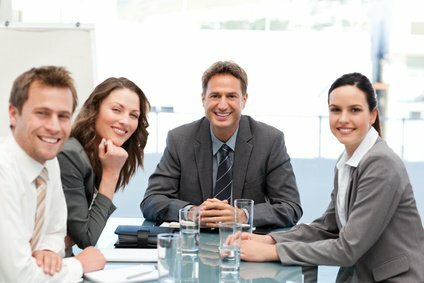 After being very satisfied on this consultancy I asked help also on Pension and Investments and was again able to proposed me very interesting solution which I could not have discovered by myself. In trust him being single point of contact for all insurance, Pension and Investment matters. Furhtermore he is very responsive and ready to answer to any question. I definetly reccomend Dr. Schlemann especially to expatriate without specific knowledge of German System (original review on Google from Alessando Casati). Since I started working in Germany and needed to take a health insurance I contacted Dr. Schlemann who gave all the information and consultation needed in order to find the most suitable option for me. At the end of the consultation I was able to define that the private health insurance was the best option and could register with a recommended provider that represents savings of about 100 euro per month compared to the public health insurance. Dr. Schlemann was open to ask all my questions and answer my inquiries on time. I can recommend him as a reliable finance advisor (original review on Google from Diana Carolina Rojas). Fast and responsive, simple scheduling of an evening appointment via Skype, professional analysis and targeted recommendations (original review on Google from Rene Bretschneider). Un compañero de trabajo me recomendó al Dr. Schlemann para que me ayudara a encontrar y contratar un seguro médico. En ese momento, yo no disponía de mucho tiempo ni información sobre las diferentes opciones. Él me presentó todas las opciones de forma rápida y fácil y en menos de una semana tenía el seguro médico contratado. Dr. Schelmann es una persona totalmente recomendable. Muy educado, amable y eficiente (original review on Google from Anna Robles). Este año me mudé a Alemania desde España y he tenido la oportunidad de ver lo diferente que son muchas cosas en este país. El sistema de seguros médicos es verdaderamente un laberinto, nada que ver a lo que tenemos en España. Mi marido encontró al Dr. Schlemann por internet. El no vivir en la misma ciudad no fue un problema. Por teléfono y videoconferencia, Tomó el tiempo para entender nuestra situación y así poder ayudarnos mejor a elegir un seguro médico para mi. Se nota los años que tiene de experiencia, y enseguida se ganó nuestra confianza. No sólo entiende muy bien todas las funciones y aspectos (tan complicados) del seguro privado en Alemania, sino que además pudo explicármelo en términos sencillos. Habla inglés y un poco de español. Incluso nos ayudó a preparar todos los documentos para poder estar asegurada en cuestión de dias. Estamos muy satisfechos con sus servicios, y lo recomendaríamos sin dudarlo (original review on Google from Marta Becerril). Are you struggling with the German Finance System? No wonder, even German natives have trouble understanding the highly complex structures, rules and regulations of the German social security system, insurance schemes and the general finance system in Germany. For clients and expats with a different background in finance, culture and language, understanding a foreign finance system can be even more of a challenge. Fortunately, there is help: An independent financial advisor (unabhängiger Finanzberater) working as an independent insurance and investment broker is under German law required to only seek the best interest of its clients (see Versicherungsmakler DE). A prominent independent financial advisor in the German market is Dr. Berndt Schlemann. 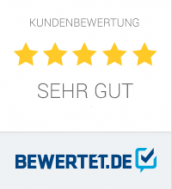 Not only can he look at numerous testimonials of satisfied clients (DE). Through many years of work for international companies like KPMG, Bayer, Ford and Mazda, Dr. Schlemann was able to develop a profound and sound understanding of the situation, the needs and the challenges associated with working and living in another country (see Vorstellung DE). Dr. Schlemann ist the right choice if you desire high quality independent financial advice on those important topics around Social Security, insurance, pension and financial planning. Advice can be given in German, English, French and Spanish (basic skills in Spanish, all other languages fluent). Additional degrees in law and tax law ensure independent financial advice at the highest and most comprehensive level available on the German market. Shall I opt for private or public health insurance (DE), potentially combined with a supplementary health insurance (DE)? Which insurance companies and insurance plans are recommendable (with full analysis of terms and conditions) and offer good value for money? Long-term health insurance vs. health insurance for limited stays in Germany (see Auslands-Krankenversicherung DE and this tariff finder EN). On the website of TK, a German public health insurance company, you will finde some usual general information on the German social security system (EN). – full flexibility, e.g. full cover when moving to other countries? How much do I need to invest into private pension schemes? What sort of private pension schemes are suitable for my situation and future life planning (e.g. Riester-pension EN, Rürup-pension / Basisrente DE, corporate retirement arrangements / Betriebliche Altersvorsorge DE, etc.)? For which state subsidies and tax benefits do I qualify? How can I remain flexible when moving to other countries either now or when retiring? Guaranteed interest vs. investment funds? What can I expect from the German statutory pension (gesetzliche Rente)? Expert Tip: Depending on your personal situation there can be absolutely legal ways to save taxes on pension premiums while you are in Germany with tax-free pension payments when you retire in another country based on gaps in double taxation treaties! Contact us, if you would like to pursue such options in more detail. What other types of insurance are necessary / recommendable (e.g. private liability insurance / Privathaftpflichtversicherung DE, personal accident insurance / Unfallversicherung DE, whole life insurance / Risikolebensversicherung DE for families, nursing care / long term care insurance / Pflegeversicherung DE) and which ones would rather be a waste of money? How should I insure my children or save money for them? (see Kinder DE)? I would like to buy a flat or a house in Germany – how can I obtain financing (see Baufinanzierung DE)? How should I insure my property (see Sachversicherungen DE, in particular house insurance / Wohngebäudeversicherung DE and household insurance / Hausratversicherung DE)? What options do I have to invest money in Germany (see Vermögen/Geldanlage DE and Vergleich Geldanlage DE)? What precautions are necessary / recommendable under German law for cases of sickness, nursing care / long term care and death (Patientenverfügung, Vorsorgevollmacht, Testament etc. – see Vorsorge Krankheit Tod DE)? As described in more detail under Kosten (DE), the costs for Dr. Schlemann’s independent financial advice as described above are under the German finance system ususally covered by brokerage fees paid be the respective provider (e.g. insurance companies). These fees are already calculated into the premium, hence no additional costs for the client are involved. Full independence from any provider is nevertheless granted by German law (see above). In special cases, where such a brokerage fee would either not apply or not be sufficient to cover the time balance, an appropriate hourly rate would be agreed beforehand (see Honorarberatung DE). Therefore, clients always have full control over costs incurred for the independent financial advice provided. Some international firms are offering insurance-related services in-house through affiliated companies like Ford Versicherungs-Vermittlungs-GmbH (FVV) or Pallas Versicherung AG for Bayer. Others may co-operate with insurance agencies or brokers. The insurance products offered do sometimes benefit from smaller volume discounts in the range of 3% to 5%. The company often receives certain kick-backs on the brokerage fee. In return, the range of eligible products is in many instances limited, particularly in situations where an insurance company is having a major stake in the agency (like Alte Leipziger owning 40 % of FVV). From my experience, I can usually provide a better price-performance ratio through independent market research than such company offers. If not, I don’t have a problem at all with frankly telling you so. This page can only provide preliminary information. Several links with more details are so far only available in German (DE – German, EN – English). So please do not hesitate to contact us via email or give us a call (+49 221 688040) if you are having a question or would like to ask for a meeting / Webmeeting (DE) for more thorough independent financial advice. Dr. Schlemann’s office is located in Cologne Dellbrück, hence easily reachable from Cologne, Bonn or Düsseldorf and NRW in general (see Directions / Anfahrt DE, only a 5 minutes drive from the A3 exit Dellbrück or about 3 Minutes walking distance from the S11 train station Köln-Dellbrück). A first financial consultation is always free (see this Voucher Financial Checkup / Gutschein Finanzcheck DE).